It’s always been interesting to me just how far Ms. Takeuchi went to take various related sources and pool them all together when creating the designs and personalities for each of the Sailor Soldiers. I feel that this is much more obvious in the original, so-called “inner” soldiers (even if that name is a bit of a misnomer, considering Jupiter is most certainly an “outer” planet),1 though planetary and mythological inspiration can still be seen here and there in the colors and designs of the outer soldiers. For example, Usagi is smaller than the rest of the cast because the moon is itself small while, on the other end of the spectrum, Makoto is the tallest of the group. Taking a look at mythology, we have the obvious Selene and Endymion connection and of course, the Minako / Venus / Aphrodite “goddess of love” inspiration. But what about Makoto? What role does her unrequited love for her ex-crush (and subsequent chasing of other men reminding her thereof!) does her role as the soldier of Jupiter play? As you probably know, Jupiter is the Roman version of the Greek god Zeus, the so-called king of the gods.2 Anyone who has heard, or seen, the story of Hercules, you probably know that Zeus is all powerful, almighty, and in addition to his brute strength, he has mastery over lightning. 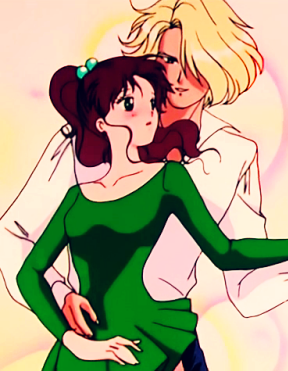 This of course also fits in well with Sailor Jupiter. But what does this all have to do with Makoto’s love life? While there’s no real connection (as far as I can find!) between her unrequited love, there is a connection between her namesake, Zeus/Jupiter, and her various misadventures chasing after boys (and Motoki in particular!) throughout the Sailor Moon series. Zeus, you see, had a lot of lovers. While he may have ultimately married and had several children with Hera,3 according to Greek mythology he had children with quite a few different women both before (and after!) their marriage. One rough count of his exploits as: 16 goddesses (18 if you count Aphrodite and Dione, in some accounts);4 19 nymphs;5 and 23 mortals6 (22 women and 1 man, Ganymede).7 From these numbers alone, it’s pretty clear that a great deal of Zeus’ exploits in mythology were about his romantic conquests (or pursuits thereof), and it’s actually not so surprising that in the planning phase over Makoto and her personality, Ms. Takeuchi and the anime staff would be somewhat influenced by this. I guess the ironic thing here is that, while Makoto may have been quick to chase after all these people much like her Greco-Roman namesake, she definitely wasn’t as lucky in love as the almighty Zeus. Obviously, this was for the best in a story about purity and true love, but I definitely do feel bad for her! At the very least, she could have met a decent boy in one of the story arcs, right? ← Did Moonlight Knight Make a Mistake in French? I always wanted to see more of her platonic relationship with Shinozaki. He seemed like a kind of adopted brother towards her. 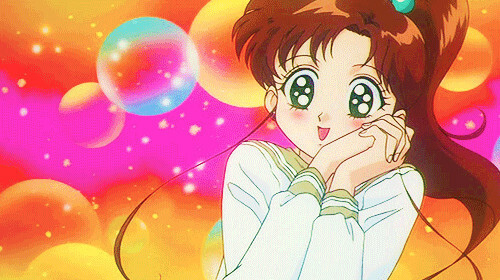 When I first watched the dub of the Doom Tree saga (a story I tell continuously, but I absolutely adore the Cardian arc to this day because I happened to stumble across the VHS tapes after I saw the last episode and had assumed Sailor Moon was over. It was so amazing to see my beloved anime continue! ), I had always assumed that Shinozaki and Makoto had gone to the same orphanage or something. Not really sure why, but their relationship seemed so close and they seemed like they had a long history. Alas, not exactly the case… but I think that they did have a great relationship!